This section has information useful to reporters and others doing research. Like others who have been involved with well-known projects early in the history of the PC industry, I get requests for interviews or information from people who are not familiar with my background, nor other events in our industry that relate to that background. This web site is one way to help provide that information. Reporters who need to contact me should try calling Software Garden (617-332-2240) or other means listed on the Software Garden Contact page. For other requests, send mail to "webmaster" at this domain (bricklin.com). 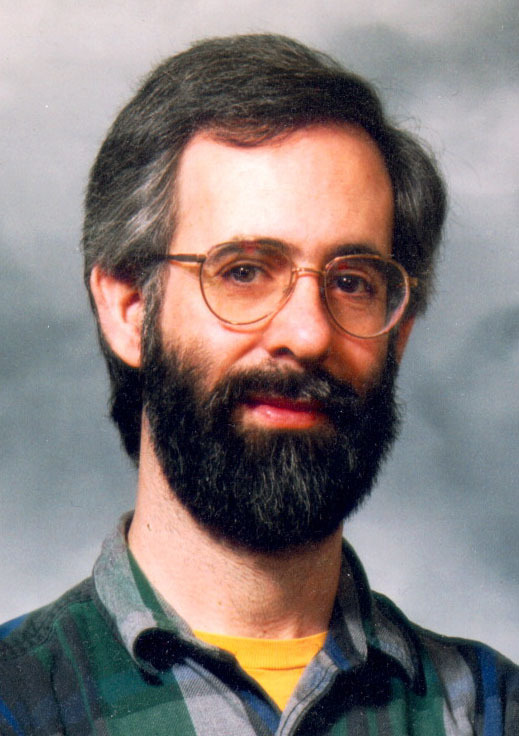 For information about having me speak at an event, see "Dan Bricklin as a speaker". For a backgrounder on me, see the "Biography". This one comes from the one I provided to Microsoft for the CD-ROM that comes with Bill Gates' Road Ahead book. They said to write whatever I wanted, so I looked at the one they provided me about Bill and copied the style ("...throughout his career...far-reaching consequences..."). I update it periodically, and I've provided long, short, and shorter forms. 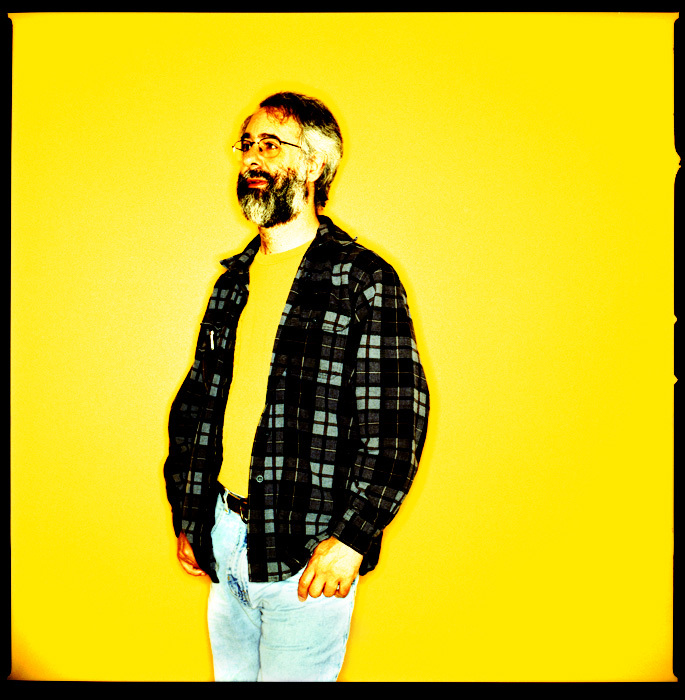 To see some examples of the recogition I have received over the years and places where I've has spoken, see "Public recognition of Dan Bricklin's work". The History section of this web site has lots of information about the old days. I also maintain a reverse-chronological web log to provide material from today. It is updated frequently. Photos and other material is not to be copied from here without permission. It is OK to link to this web site (http://www.bricklin.com), though specific page URLs within the site are subject to change (but so far, I've managed to keep them pretty stable over several years). Please send mail to "webmaster" at this domain to let me know you have linked here, and if it is to a sub-page. People are always asking why we didn't patent the spreadsheet. 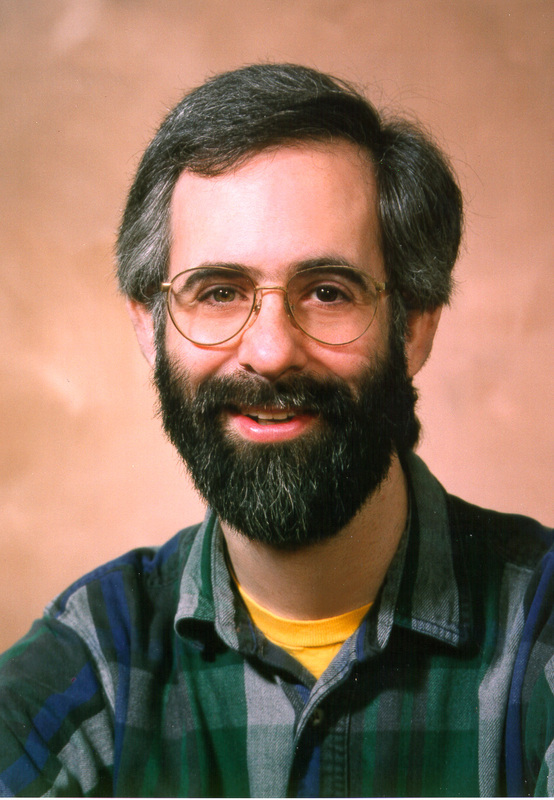 See "Patenting VisiCalc" in the Writings section for an explanation. A full-size JPEG of this photo is available for download (399K). The image on the home page of this web site comes from this photo. It is from the Computer Museum's Wizards and their Wonders exhibit of pictures of 200 computer industry people taken by one photographer, also available as a book. A full-size JPEG of this photo is available for download (706K). This is the image on the home page of this web site. It's from the full photo, above. A full-size JPEG of this part of the photo is available for download (81K). Only this small (6K) JPEG of this photo is available. Various photographers who have provided publications with pictures of me have unused material. For example, this is a picture from Webb Chappell. A bigger copy (164KB) is available for viewing. Contact Webb to get permission to use it (and for a higher-res copy). This is the picture of Bob Frankston and me most commonly used. It comes from Software Arts. It's available for download and is probably from around 1982. 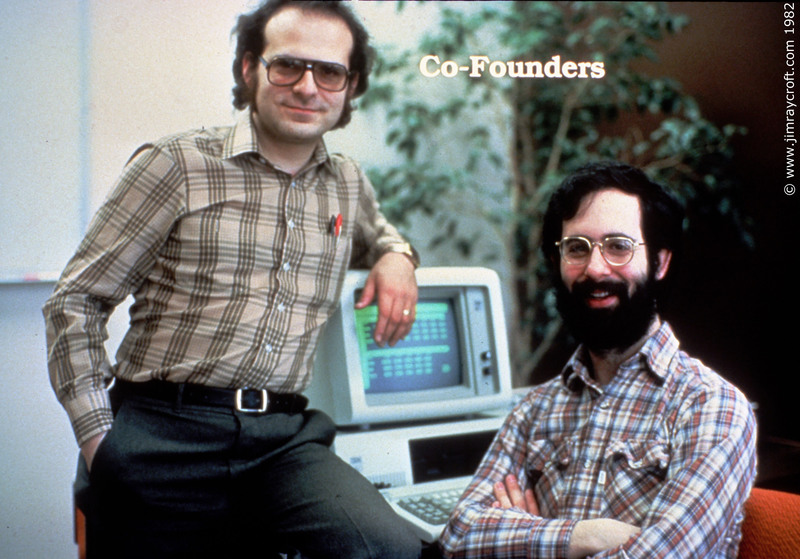 Caption: Bob Frankston (standing) and Dan Bricklin, co-founders of Software Arts, Inc.
Forbes ASAP had an article that profiled me in the 4/6/98 issue. The picture was one of those close-up, B&W arty types. The Log portion of this web site often points to recent articles (which is why this section is rarely updated). Note about Trellix: Many articles (including some material on this web site) refer to Trellix Corporation, which I founded around 1996. Trellix was acquired by another company in 2003 and many of the links to its web site contents are no longer maintained. The original Trellix client-side web authoring tool was taken over by GlobalSCAPE around 2001.